Ben Askren has compared his treatment by the UFC since his signing to a girlfriend that everyone knows about, but they are too embarrassed to tell anyone about. Yet he received a great reception when the cameras were directed at him at UFC 230, and the buzz around his arrival in the UFC seems to be gaining more traction, as during his media scrum for that event he compared his experience to bumping into 19,000 old friends. By his own admission he has never been a fan favourite, but the narrative appears to be changing. And this is no accident, as Askren has done an impressive job of building his brand since the “trade” that brought him over from ONE Championship, publicly putting the entire UFC welterweight division -- and anyone else capable of making 170 -- on blast. Anticipation for the first UFC fight for The Funky One is palpable, until rumours surfaced last week of a potential bout with Robbie Lawler. Unfortunately, despite the former Bellator MMA and ONE champion’s efforts to talk himself into a more high profile debut, it appears that he has not been rewarded with a welcome befitting a champion, let alone a champion who has undoubtedly ingratiated himself to the UFC faithful. Lawler is a high-risk, low-reward fight -- beating him simply legitimises Askren’s signature on the UFC contract, but has no impact on the welterweight title picture. Due to injury, Lawler hasn’t fought at all this year, and is far less relevant than Stephen “Wonderboy” Thompson, Darren Till, or Colby Covington, all of whom are available for Askren to fight. Matching Askren against Thompson or Till would provide a real test, as both are high level strikers, the likes of which he has never faced in other organisations. Alternatively, the fight with Covington offers fans the opportunity to see how well Askren’s style matches up against a good all-around fighter with a solid wrestling credentials, especially in light of him coming off a career best performance against Rafael Dos Anjos. Although it is widely accepted that Covington will fight for the title next, it would come as no surprise if UFC President Dana White decided to put Covington in a title eliminator while Tyron Woodley sits on the sidelines injured. Historically, White has been willing to distort the title picture in the name of not wanting to hold up the division, or more recently (and perhaps more relevantly), when he sees a chance to cash in on PPVs, as he did when he made the Daniel Cormier vs. Derrick Lewis matchup, instead of the more obvious rematch with Stipe Miocic. However, he has chosen not to muddy the welterweight waters in the same way with Askren, and that’s telling. One perspective on the UFC’s choice of first fight for Askren feeds into his analogy of White and UFC’s attitude towards him. Although Lawler is a former champ and current top ten contender, there is a strong case to be made that his career has been on a downward trajectory since he lost the title to Woodley. He has yet to recapture the form that took him to the championship, going 1-1 in his last two fights. He did beat Donald Cerrone, but he too is nearing the end of his career, as at welterweight, he’s served as a stepping stone for an up-and-coming fighter like Leon Edwards and Till, and was booked against Mike Perry this past weekend at UFC Fight Night 139 for that reason as well. He seems headed back to lightweight now. So while Cerrone is still a solid win for Lawler, it’s hardly one that keeps him relevant to the 170-pound title picture. Considering the fight in this context, it could certainly be argued that the bout with Lawler serves as a “tuneup” fight for Askren -- an opponent of calibre, with credentials, who has performed well against wrestlers in the past. And let’s not forget, he defeated an NCAA All-American, Johny Hendricks, to capture the title. But let’s consider the fight in a different, more conspiratorial, context. 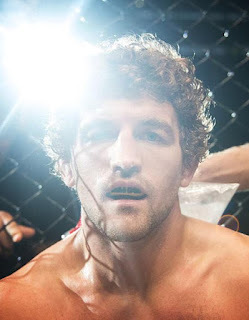 White has had a turbulent past with Askren, a past that has played out on social media (he has only recently unblocked Askren on Twitter); the case can certainly be made that their past has influenced the choice for Askren’s inaugural UFC bout. Maybe White’s objective is in fact to prove that Askren is nowhere near the best welterweight in the world. Having Askren lose to Lawler would certainly accomplish that objective. 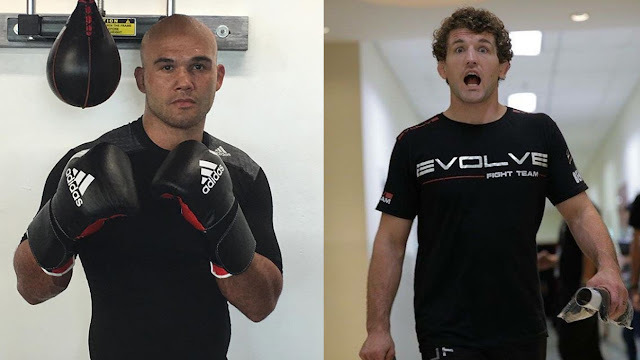 Robbie Lawler is a dangerous opponent for Ben Askren. However, the matchup doesn’t exactly set the world on fire. This lukewarm welcome to the UFC for the former multiple-time champion won’t immediately introduce him into the welterweight title discussion if he wins. And if he loses, he’ll be buried for sure. It appears to be a smart strategy by Dana White and the UFC brass, one that does indeed suggest The Funky One has a lot to prove in the Octagon before the UFC decides to step out with him in public.